Liz Thompson has an Exhibition here. I am Liz Thompson of Icon Imagery Photographers. We are based in the beautiful Welsh borders between Chester and Wrexham, ideally placed to cover the North Wales, Cheshire, Shropshire and Merseyside area. My style of photography is relaxed and natural, putting my subjects at ease and creating fun, interactive and energetic images. I have lots of experience of working with children, babies, pets and animals; and bags of patience!! 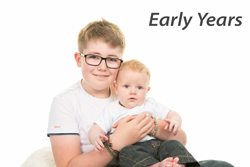 Icon Imagery provides a first class Early Years photography service to nurseries and playgroups. We offer indoor studio photography, or in the warmer months, outdoor photography in the grounds of the nursery or group. Our Pets and their People photoshoots are very popular. These can include all pets, all people or a mixture of the two. They are location photoshoots and we are very fortunate to live in such a beautiful area where we have many gorgeous parks, woods and hills on our doorstep. Icon Imagery also offers Commercial and Corporate photography. We can provide professional headshots, taken either on our mobile studio or with the business premises as the background. We have used Icon Imagery for a number of years and on numerous occasions to our complete satisfaction. We have always found them to be highly professional in what they do and highly effective in achieving the highest possible quality of outcome. Of special note is the manner in which they work with parents and children to ensure that the final photographs will bring many happy memories in the future and great satisfaction today. We were so pleased with Icon Imagerys work that we now use them for our own personal and special occasions photography. An excellent service. Thank you Liz for beautiful and alive images that really capture precious moments . As well as fabulous photos, you created a lovely experience with the photo session, which Gaia still speaks about with joy!! Ill certainly use your services again and already do recommend you to others. Hi Liz, just wanted to thank you for the pics you did of Percy. You were very professional and patient as we were trying to get him to stand! The pics look amazing and I will definitely be back for more when I have my new puppy. We chose to go to Icon Imagery when we needed some publicity photos for a new album cover and website, and were really pleased we did. They managed to put at ease three people who were dreading having to have their photos taken, and with their friendly professionalism made the photo shoot a fun and enjoyable occasion. The photos presented for us to choose from were great and were absolutely delighted with those weve selected. Weve thoroughly enjoyed the whole experience and are grateful for their skill. Why I like the SWPP: I think that being a member of a professional body, is reassuring for prospective customers. It shows a level of professionalism and commitment.